Ronika Power is an Associate Professor of Bioarchaeology at Macquarie University, an Honorary Fellow of the McDonald Institute for Archaeological Research at the University of Cambridge, UK, and an elected Fellow of the Society of Antiquaries London. She has worked with human skeletal and mummified remains from various geographically and temporally diverse populations: from Holocene hunter-gatherers of Kenya; to megalithic temple builders of Neolithic Malta; multi-period cemeteries across Egypt; the Garamantes of the pre-Islamic Libyan Saraha; Amarna Period Egyptian colonies in Nubia; Late Anglo-Saxon English child, infant and foetal burials; settlement interments in Medieval Benin; and post-14th Century palace burials from the Maldives, to name a few. Ronika's research area is Biocultural Archaeology, which sees data derived from scientific analyses of the human body interpreted in conjunction with all other forms of archaeological and historical evidence. This approach provides meaningful insights into the demography, health, life-ways and world-views of individuals and groups from past populations. 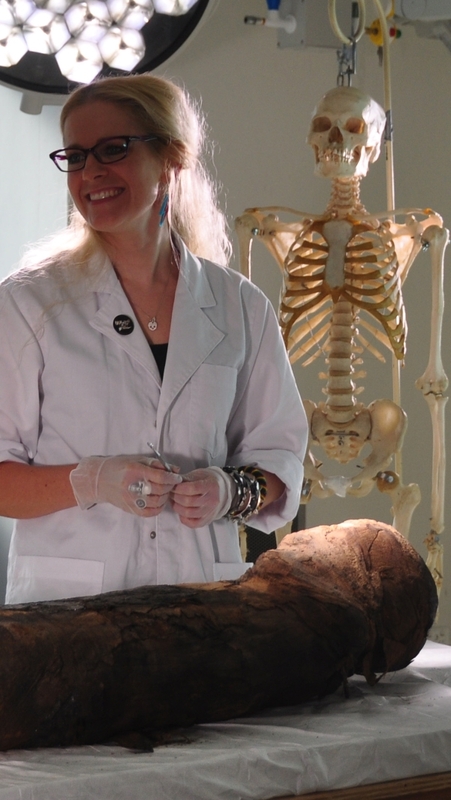 To achieve these aims, Ronika applies an interdisciplinary methodology that incorporates Biological Anthropology (Human Osteology, Palaeopathology, Dental Anthropology, 3D Geometric Morphometrics, Radiology), Archaeological Science (Stable Isotope Analyses), Archaeology (Material Culture, Mortuary Behaviour), History (Textual Analyses) and Theory (Philosophy, Historiography and Ethics). Ronika is passionate about cross-disciplinary teaching and research, and strives to integrate the Arts and Sciences in all aspects of her work and life – including her enthusiastic patronage of Australian fashion. She was the first person in Australian history to receive a national teaching award while still a doctoral student, and has a prominent international profile in academic mentoring, outreach and science communication.